Promotes YOU and YOUR brand exclusively! Easy to add to your website or social media! Sign up today to get $350 in Free Leadership Profiles! For a limited time we are offering 5 FREE Leadership DISC profiles with new accounts (a $350 value). You are not required to be certified by Personality Insights in order to begin using this service. If you are currently certified with Personality Insights or have a qualifying DISC certification we then you will receive a 40% wholesale price on profiles. Otherwise, the wholesale price on profiles will be up to 25% off. We recommend the yearly saver plan as it is by far the most popular option. Setup will require about 2 business days depending on the backlog of adding new users. If you need your setup expedited, just let us know. We can have you setup the same day. If you have questions, please read the information on this page first. There is even a Q&A section at the bottom of this page. The retail value of the bonus is more than the cost to signup! So, go ahead and add DISC profiles to your tool set! Motivating and coaching others effectively requires understanding them and what makes them tick. Online personality profiles are the easiest and fastest way to gain a basic understanding of a person. 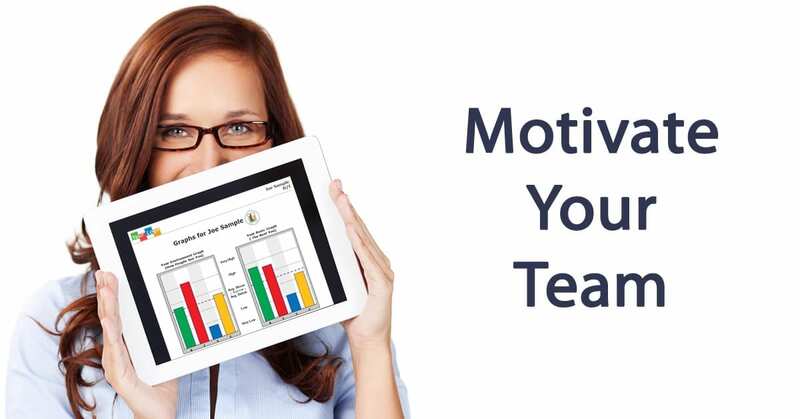 Quickly find out how they are motivated, what their strengths are, how they communicate and make decisions and much more. DISC Profiles are the easiest approach to personality styles. Are DISC personality profiles in your toolbox? If not then you are missing out on valuable insights that can help you lead and serve others with much more understanding and clarity. This is one tool that can help EVERY person you work with. And, best of all, you can customize the look and contact information that your users see. Get up and running in 1 business day! The Branded DISC Profile Service is designed to be easy to setup and easy to use. We can have your account live usually in 1 business day. You can choose the Monthly Plan or the Yearly Plan in minutes and then you can provide us with your logo if you have one. Even if you don’t have a logo, we can still get your account live while you are working on that. You will be able to update your logo, cover graphic and contact information at any time after your account is setup. Please ask for expedited service if you need 1-day setup. Normal setup time is 1-2 business days depending on the back-log of new signups. You can learn all about the service by reading through this page. But, feel free to contact us if we can help you. If you would rather talk on the phone then you can call us at 770-509-7113 (M-F, 8AM-5PM EST). If you want to email us, then click the button below to use our contact form. We will get back with you right away. Get 5 Leadership Profiles FREE! Get FIVE FREE Leadership Profiles (a $350 retail value) when you signup today. All plans have the same features. You just have the option to pay monthly, yearly, or for 3 years. All plans may be cancelled at any time. The $199 setup for the monthly plan is non-refundable. The Yearly Saver Plan is non-refundable in the first year period. The 3 Year Bargain Plan is non-refundable in the first three year period. The profiles feature YOUR brand, YOUR company graphics and YOUR contact information, not ours. In fact, your company logo is placed on EVERY page of every report to maximize your brand visibility. Your profiles will be positive and easy-to-understand for your users. The system is EASY to administer so you can change your settings or monitor activity in real time. You get great customer service! If you have any trouble, you are not alone. We will help resolve any issues in a timely manner. You will enjoy great pricing! You can obtain reports at wholesale pricing ranging from 25-40% off of retail. Insights Institute graduates get 40% off, and non-graduates get 25% off. You can rest easy with our proven system that thousands of companies have used. You have access to marketing copy and a marketing video to help promote YOUR reports. The system is fully automated so your reports can be sold and delivered instantly online, 24 x 7. You will have free access to our very popular Team Charting tool that will allow you to chart groups of users for at-a-glance views of any team. Your DISC profiles are a practical tool that will enhance everything you do! There are no limits to the way DISC profiles can help you engage, train and re-engage others. Your new profiles will help others lead better, serve better and work together more effectively. Customized look with your own logo graphic, your cover page graphic and your contact info. A back office Resource Center to access client reports, create team charts and update your settings online. Get 5 FREE Leadership Profiles (a $350 retail value) when you signup. Q: What plan should I choose? A: Both the Monthly and Yearly plans have all the features – the only difference is whether you prefer to pay monthly or yearly. The yearly and 3-year saver plans have free setup (a $199 savings) and they also have a price break compared to the monthly plan. Q: Can I change plans after I get started? A: Yes. You can change plans. Setup costs are non-refundable. Q: Can I see a sample branded report? A: Sure! Click here to see a sample of the 50-page Extended Adult Version – and be sure to try out the navigation menu that will show up on the left-hand side of the report. Q: Do I need a website to use the service? A: No, a website is not required. We provide a “portal” link for you that you can use as your main assessment page. Users will view their reports at a service website – personalityservice.com. If you do have a website, then we provide the code for you to place these resources on your site if you wish. Q: How do I put my logo, cover graphic and contact information on my branded report? A: After you sign up, we will provide a link to a setup form. You will be able to setup an account, upload your logo, your cover page graphic and enter your contact information. We can help you if you need assistance. Q: How long does it take to get my branded reports setup? A: It takes 1 business day in most cases. After you fill out the initial setup form, we go through your account and finish the setup and final configuration. We will test your settings to make sure that everything is working fine. Q: Why is there a setup / activation charge of $199? A: Keep in mind that the setup fee is only on the monthly plan (not the annual or 3-year saver plans). The setup/ activation charge helps to cover our time and expense to finish your account setup and test it. It also helps cover our time and expense to provide “jump start” phone service. Yes, that means that we provide live phone support to help make sure everything goes smoothly for you. Others charge upwards of $750 to $1500 as a setup fee. We did not think that was necessary, but we also needed to charge something to cover our costs. Q: Can I make money with this service? A: Yes! You can offer your reports for sale either by retail sales online or business-to-business. If you choose to sell retail online, then you are required to offer your reports at the suggested retail price. If you sell the reports business-to-business, then you can choose your own resale price. Either way, you can earn a profit on the margin. Many people offer a value-added service where a personality profile report is just part of a package. In that case, you can bill your clients any way you wish while obtaining your branded reports online at wholesale as you need them. So, for example, you may offer a consulting service package that includes a personality report for $295. In that case, the charge for the personality report is not itemized – it just become part of your value-added package. Q: What is my wholesale price / commission rate? A: It will either be 25% or 40%. The standard wholesale rate is 25% off of retail. * Personality Insights Institute graduates get an EXTRA 15% discount which is 40% off. The same numbers apply to the payment of commissions on sales sold through your account at retail. We have a lot of people tell us that they are already familiar with the DISC system but they would like to use the Branded DISC Profile Service. Our goal at Personality Insights, Inc. is to be easy to work with. We believe that we offer the best training in the world when it comes to the DISC Model of Human Behavior. We are willing to let individuals start using the Branded DISC Profile Service with the anticipation that users will see the value of attending one of our training programs to better equip themselves and to better help his or her customers or clients! Again, graduates of our DISC Certification will receive a 40% off wholesale price, and non-graduates will receive a 25% off wholesale price. A: You may unsubscribe from the service at any time. You can also restart the service anytime for only $99. Setup and activation charges are non-refundable. A prorated refund will be given on annual plans only. Q: Can I change my logo later on? Q: How does the e-Commerce feature work? A: We provide simple links for you to use. We have our own merchant account and we provide buy buttons that you can use to sell your branded reports online. The entire transaction is automated. Access codes are delivered automatically. The money goes into our account. If the order was placed at retail, then we will pay you a commission on the order. If the order was placed by you at wholesale, then the transaction does not qualify for commission. Commissions are paid out at the beginning of each month. Q: I already have an online store and merchant account, so can I use my own store? A: Yes you can. In that case, you would need to manually fulfill orders by emailing access codes to your clients after they order. You can either keep a stock of access codes on hand from which to draw on, or you can order the access codes you need at wholesale as you need them. If you have the capability of automating the delivery of your pre-purchased access codes, then that is fine. Otherwise, our e-Commerce package has the automation built-in already to send access codes immediately after an order is placed. Q: I want to sell service packages that include consultant plus DISC profiles. Can I do that? PayPal would notify you of the purchase and the money would go directly into your PayPal account. You would follow up by sending your client an email which would include instructions on how to proceed. The instructions could include an access code and link to take the online DISC assessment (at your branded start page that is provided through the service). You would be able to buy access codes at wholesale as needed to fulfill your orders. You can see that this scenario requires that you be involved in the follow up process, but then you can tailor it however you like. You can even automate the process if you are technically savvy or you can get someone to help you setup a system to automate the process. Q: Who owns the rights to the content and graphics in the branded reports? A: All content is property of Personality Insights, Inc. and DiscoveryReport.com. Some graphics that we use are licensed to us. However, in no circumstance will the content of the branded reports become your property, nor should that be implied. You are simply using our service to provide our content to your clients with your branding. Appropriate copyright notation is provided in the reports to indicate that the content is, in fact, subject to copyright laws. Q: Are the teen and child personality reports included as part of this service. A: Yes they are. The teen concise and extended versions are available. The child concise version is also available. Q: I don’t really care about the branding part of this service, but I am looking for a way to save money on personality profiles. Why should I use this service? A: If your company already uses personality profiles, then this service is likely to give you 1) superior personality reports 2) better wholesale pricing and 3) an easier way to procure and administer your profiles. We would be happy to talk with you about it. You can reach us at (770) 509-7113. A: We have versions English, French and Spanish. If you need personality profiles in another language, please contact us.